In order to maintain our impeccable standards of superior quality and detail, only a limited number of cakes are scheduled each week. All Wedding Cake orders should be placed approximately 3-6 months in advance, however, we have been known to fit in a cake as little as 2 weeks in advance, if time allows. Consultations can be scheduled as early as 16 months before the wedding. If you are on a short timeline, please call to check our availability. April – June & October – November are our busiest wedding months & dates are often closed out early. 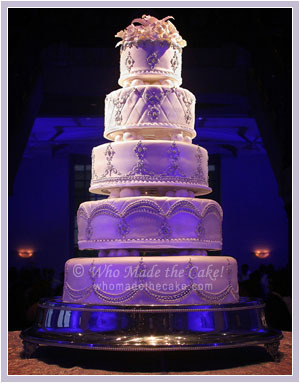 Consultations for wedding cakes and certain specialty cakes over 3 tiers in height (Min. 85 servings) are by appointment only. 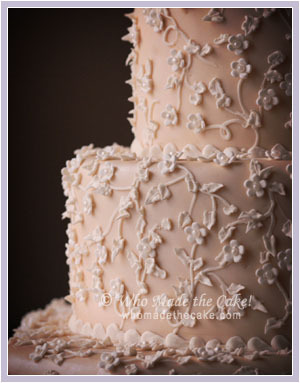 Complimentary Wedding Cake Consultations & Tastings are scheduled with Nadine Tuesdays, Wednesdays, Thursdays & Fridays. Friday afternoon & Saturday consultations are extremely limited as Nadine concentrates on wedding cake production and delivery. If you need a Saturday consultation, there may be a small fee to hold your consultation time. 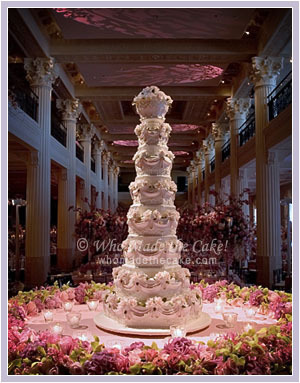 Upon signing your wedding cake contract, you will receive a credit for 100% of the consultation fee. (Unfortunately, Saturday consultations are the most coveted, yet we have the most no-shows.) This is the only way we found to ensure that these appointments are available to people who are seriously interested in working with Nadine to design their cake.) If you are coming in to Houston from out of town, please call as early as possible to schedule your consultation, so that we have time to try to accommodate your schedule. Due to high demand for consultations after bridal shows, at certain times of the year, it can take 2 weeks to get an appointment. Please rest assured that although you have to wait a few weeks, you will have Nadine’s personal attention designing your cake creation. Your wedding date is held for you until you come in for the consultation & you do not have to worry about your date getting closed out. Wedding cake consultations are approximately 1 hr. long. 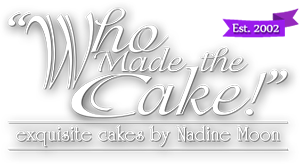 You will meet personally with Nadine to design, sketch & quote your cake. Feel free to bring printed photos of designs you like as well as flower photos, invitation sample & color swatches. During the consultation you will also sample 8 of our most popular flavors. Please arrive 5 min. before your consultation to browse the showroom. Customers arriving more than 10 min. late may have to be rescheduled, as consultations are back to back & we will not be able to give your order the attention it deserves. The consultation room will comfortably seat 4 guests, however we can squeeze in up to 6. Limited parking available on site. A minimum deposit of 25% will secure your wedding date & execute your cake contract. We accept Visa, Mastercard, Discover, Check or Debit cards. 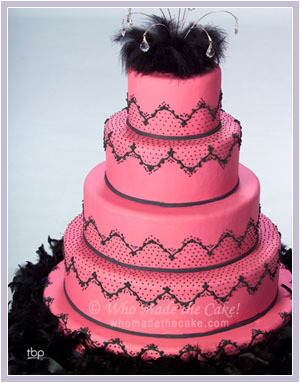 Orders for specialty cakes can be conveniently placed via telephone, e-mail or fax. 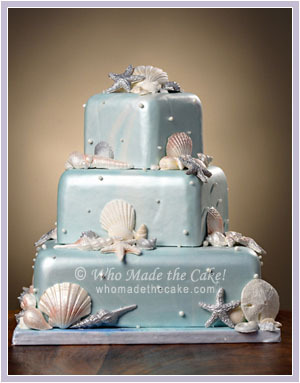 Complex cakes that are a minimum of 3 tiers in height may require a consultation. Orders for cakes pictured in our photo gallery can be quoted by our Customer Service Assistants. For a custom design, please feel free to email ideas and/or invitation photos with guest count & event date to info@WhoMadeTheCake.com. A custom design will then be created by Nadine & her staff, & you will be called back with ideas & quotes. Due to the high number of customer calls, we strongly recommend placing your order a minimum of 3 weeks in advance as dates do close out. Saturday pick-ups are extremely limited during the busy wedding season. PLEASE NOTE: Your date is not guaranteed until you have signed off on your design & paid your deposit.